Because I have an oily complexion I’m constantly looking for pore minimizing products. 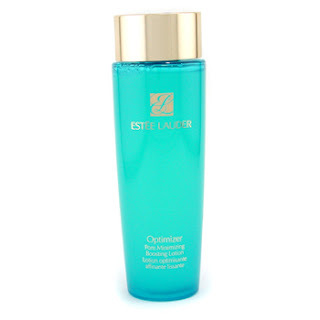 One of my latest founds is Optimizer Pore Minimizing Boosting Lotion from Estee Lauder. It has an ion balanced water formula suitable for hydrating oily skin. The black bamboo extract is a natural anti-irritating ingredient which prevents redness. I strongly recommend this product for normal-oily complexions.